Pic: Nandi Madida Wearing Her Husband Zakes Bantwini’s Clothing Line Is The Cutest Thing. When a fashionista marries a fashionista, we can only expect fireworks. Nandi Madida is truly blessed to have a man like Zakes Bantwini. The TV personality and businesswoman has the first privilege of rocking clothes from her husband’s soon to launch Ghetto King line. 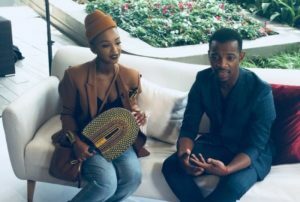 The post Pic: Nandi Madida Wearing Her Husband Zakes Bantwini’s Clothing Line Is The Cutest Thing appeared first on Youth Village.